Dentures are an affordable, beautiful and effective way to restore missing teeth, returning patients’ ability to talk, smile, and eat properly. When a dentist mentions the phrase “dentures” as a solution, some patients immediately picture the ill-fitting false teeth their grandparents once had. At one time, dentures were often synonymous with a low quality solution to missing teeth. Today, dental technology has advanced and dentures have come a long way. Our patients are often surprised at the comfort, affordability, and beauty of the dentures that are available today. 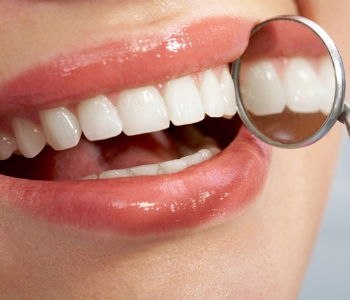 The first step in the process of receiving dentures is impressions. Getting accurate impressions is imperative, because they will dictate the fit of your new dentures. A good fit means good suction which is what helps keep dentures stable and in place. We pay great attention to detail in order to ensure the impressions are precise. Our goal is that your dentures never feel uncomfortable or cause a poor bite. The next step is the design of your new set of teeth. Dental materials today have transformed dentures from bulky, unnatural looking appliances into strong, lightweight, stunning sets of teeth. Whether we are crafting an entire new set of teeth or replacing old worn out dentures, we ensure that your new smile will be beautiful and natural looking. If you want to take dentures one step further, we offer dental implants. Implants are surgically implanted artificial tooth roots that provide a solid, stable foundation for dentures. Implants are the closest restoration option to natural teeth, with only a couple of implants needed to keep an entire arch of dentures in place. The dental implant process takes several months to allow proper healing, but in the end, provides a permanent solution to tooth loss. Dentures can provide you with a cost-effective, beautiful looking smile that can put all the embarrassment of missing teeth in the past. If you live in or around the Denver area and want to learn more about this process, call us today at (855) 233-0023 to set up an appointment.